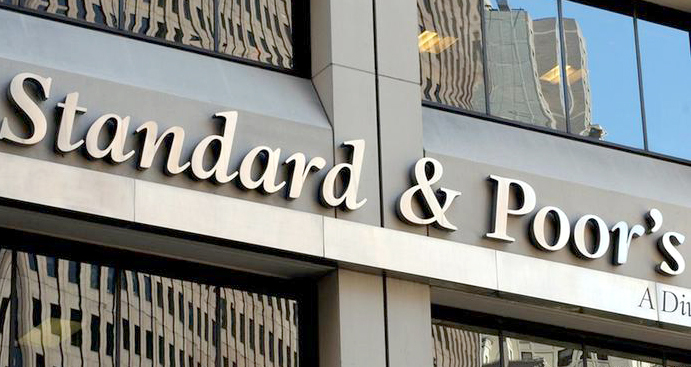 KUWAIT, Jan 19 (KUNA) -- The government of Kuwait will remain in a substantial net asset position over the medium term, which should provide a safety buffer against external shocks, according to Standard & Poor's Financial Services LLC (S&P) company. "We are affirming our 'AA/A-1+' long- and short-term foreign and local currency sovereign credit ratings on Kuwait. The outlook is stable," it said in a freshly released report. The report continues, "The stable outlook reflects our expectation that Kuwait's public and external balance sheets will remain strong over the next two years, primarily underpinned by sizable foreign assets accumulated in the country's sovereign wealth fund. This should partially mitigate risks related to Kuwait's undiversified oil-dependent economy, and rising geopolitical tensions in the region. "We could raise the ratings if wide-ranging political and economic reforms enhanced institutional effectiveness and improved long-term economic diversification, although we think such a scenario is unlikely over the forecast horizon. We could lower the ratings on Kuwait if we observed a sustained decline in economic wealth levels, for example due to a fall in oil prices beyond our current expectations or materially weaker rates of economic growth. 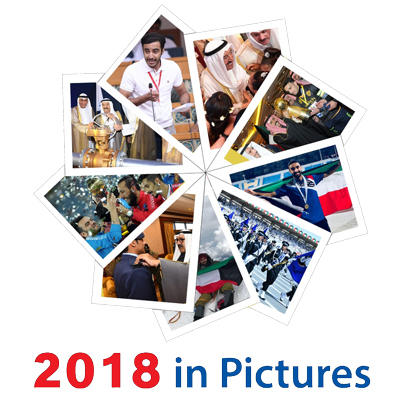 We could also lower the ratings if Kuwait's domestic political stability deteriorated, or if regional geopolitical risks were to significantly escalate." 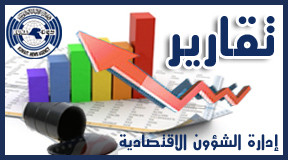 The ratings on Kuwait remain supported by the country's high levels of accumulated fiscal and external buffers. The ratings are constrained by the concentrated nature of the economy and comparatively weak institutional settings compared with those of non-regional peers in the same rating category. Kuwait derives around 55% of GDP, more than 90% of exports, and about 90% of fiscal receipts from hydrocarbon products. Given this high reliance on the oil sector, we view Kuwait's economy as undiversified. Kuwait's economy remains almost entirely dependent on oil, which accounts for an estimated 90% of exports and government revenues. Given the oil production cuts announced by OPEC (of which Kuwait is a member) in December 2018, we have lowered our 2019 GDP growth forecast for Kuwait to 1.0% (we forecast 3.2% previously). Despite the economic diversification and reform efforts announced by the government, we expect progress to be only gradual. This carries downside risks if oil prices turn out weaker than expected. The oil sector directly comprises over 50% of the country's GDP, although if other related activities are taken into account, that proportion is even higher. As of 2017, Kuwait was the world's ninth-largest crude oil producer, with the seventh-largest oil reserves. Assuming current production levels, Kuwait's total proven oil reserves are equivalent to about 100 years. Given this high concentration, Kuwait's economic performance will remain largely determined by oil industry trends. We assume oil prices (Brent) will average USD 55 per barrel (/bbl) over 2019-2022, which is lower than our previous oil price projections for these years (see "S&P Global Ratings Lowers Brent And WTI Oil Price Assumptions For 2019 Through 2020; Natural Gas Price Assumptions Are Unchanged," published Jan. 3, 2019). This is also lower than the average 2018 Brent price of US$72/bbl. According to high frequency official data, output grew by 0.6% over the first nine months of 2018 year-on-year. We have accordingly revised our growth estimate for the year down to 1% from 2% previously. We estimate that growth picked up in the second half of the year following OPEC's decision to increase oil production in the summer. However, we expect this pick-up in economic activity to prove temporary given OPEC's December 2018 agreement to once again cut production for an initial period of six months starting January 2019. According to the agreement, production will reduce by 0.8 million barrels per day (mb/d) from October 2018 levels of around 32 mb/d, which represents a roughly 2.5% decrease. Although the exact allocation of cuts between various member countries is not clear, we assume that for full-year 2019 Kuwait's production will decline by 1.5% based on our expectation that the cuts will be discontinued at some point before year-end. Importantly, we don't expect a repeat of the outright contraction in output that happened in 2017 during the previous round of cuts. This is mainly due to the firming of non-oil GDP growth alongside a gradual increase in gas production, which is not subject to OPEC agreement. Overall, we expect real GDP growth of 1% in 2019, compared to our previous forecast of 3.2%. Beyond 2019, we expect growth rates to accelerate to an average 2.5% over 2020-2022. This is due to: December 2018 OPEC oil cuts coming to an end; Gradually increasing oil production capacity. Kuwait intends to increase the maximum oil production capacity toward 4 mb/d over the medium term from about 2.7 mb/d currently. This should be achieved through both new oil site discoveries as well as enhancing output at the already existing mature fields. An additional boost could come from restarting production within the so-called Partitioned Neutral Zone (PNZ) between Kuwait and Saudi Arabia, which was previously halted due to a number of disagreements between the two countries. We understand that restarting the PNZ production could alone add around 0.3 mb/d to daily output. Although it remains to be seen whether the 4 mb/d target is realistic, our baseline forecast assumes a steady increase in production levels over 2020-2022. Several investment projects planned by the government. These target an expansion of Kuwait's refining capacities including the completion of the large Al-Zour refinery as well as the so-called Clean Fuels Project aimed at modernizing existing refineries. Nevertheless, in line with trends in recent years, we believe Kuwait's economic growth on a per capita basis will remain below peer sovereigns at a comparable level of economic development. Flexibility and Performance Profile: Kuwait's sizable fiscal and external buffers remain key rating strengths We estimate Kuwait's net general government assets at 400% of GDP as of end-2018, which is the highest ratio of all the sovereigns we rate. Despite our projection of lower oil prices, the general government budget will post surpluses underpinned by investment returns on accumulated sovereign wealth fund assets. We expect the Kuwaiti dinar (KWD) will remain pegged to a USD-dominated currency basket and that the Central Bank of Kuwait's (CBK) monetary policy will continue to be closely aligned with that of the U.S. Federal Reserve. We forecast that as oil prices reduce from 2018 levels, Kuwait's central government deficit will rise from 6.5% of GDP last year to an average of 19.5% over the next four years. The general government budget (which excludes mandatory annual transfers to the FGF and includes the estimates for investment returns on existing stock of KIA assets) will remain in surplus, averaging 7% of GDP over the same period. This mostly reflects investment returns from managing the KIA. Despite the surplus general government budget, the authorities still plan to borrow to cover deficits at the central government level. We estimate that future central government deficits will be financed via both asset drawdowns from the GRF as well as debt issuance. Accordingly, we project general government debt will rise above 50% of GDP in 2022 from less than 20% in 2017 reflecting a combination of both domestic and international issuance. This is based on our expectation that the government will pass the new debt law soon, raising the debt ceiling and authorizing extra borrowing. Largely mirroring its fiscal position, Kuwait's external balance sheet also remains very strong. We note that despite the detailed public data on Kuwait's balance of payments performance, there is no official international investment position statistics. This hampers our full assessment of external risks. Nevertheless, based on available data, we estimate that the country is in an external asset position of around 450% of GDP. With the exception of 2016, Kuwait has consistently run current account surpluses--reflecting large volumes of oil exports, favorable prices, and low production costs. We estimate the current account surplus was 14% of GDP in 2018. Taking into account our projections of oil prices staying at $55/bbl on average over the medium term, we anticipate that current account surpluses will moderate, reaching balance toward 2022 as the import bill continues to grow. We believe there is upside potential to this forecast--say if oil production grows faster than we currently anticipate.